We recently brought you a map of sausages from around the world, however, many people commented on how lots of sausage varieties were not included on the map. 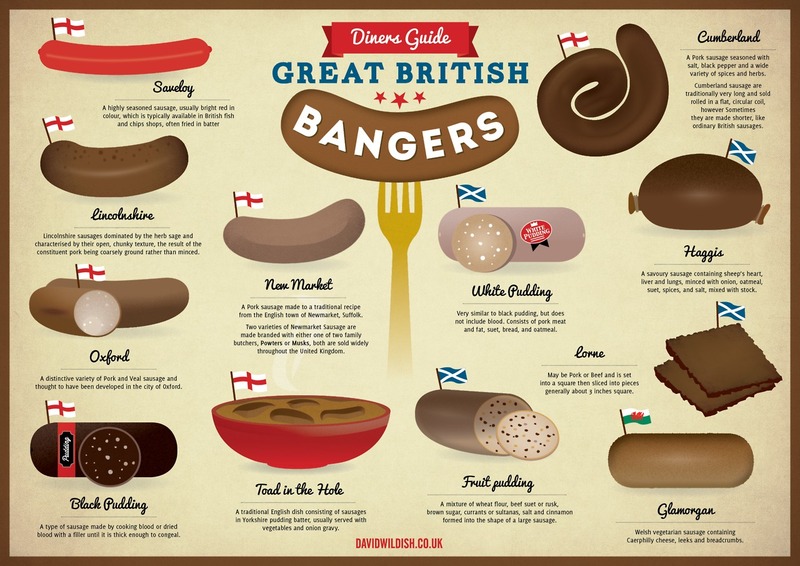 To add even more sausage goodness to the site we decided to post this guide to the great British Banger designed by David Wildish. It looks at a whole range of British Bangers and although not officially classed as sausages, they're shape, flavor and style make them very similar. In fact Bangers usually contain a higher amount of cereal and less meat than a sausage. That's why ingredients like White and Black Pudding make the list, alongside the Lincolnshire Banger and many more varieties. Take a look.